Oakley Property are pleased to be able to offer to the market this charming Period Home in the centre of Lewes, on the market for £699,950. David Beaken, Director, commented " This lovely family home is positioned in the very popular area of The Pells, which is within walking distance to Lewes Town centre, Schools, Parks and of course the famous Pells Pool! The home still retains many original period features and the views are stunning from many of the upstairs windows making this home lovely and bright throughout". 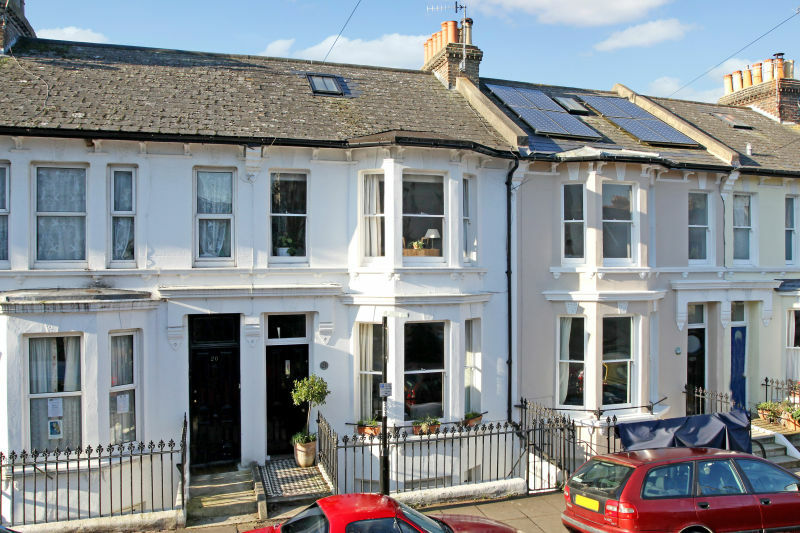 This Victorian home sits across 4 floors and offers very versatile living accommodation. At present the house is arranged with 2 reception rooms and Kitchen on the lower ground floor. There are glazed double patio doors leading out onto the West facing garden. David Beaken continued "This lower ground floor has a separate front door with external steps leading down from the street level. The front reception room has an impressive feature open fireplace and between the two rooms are Bi-fold wooden doors that divide the 2 rooms from each other or when open create one large living space. Great for entertaining or growing children that want their own space!" On the ground floor, at the front of the house, is another reception room with a large bay window overlooking the front of the property. This room also has solid wood flooring and another feature open fireplace with a wooden surround. At the rear of this floor is another room which is currently being used as a Study/Library. Ideal for those working from home but could also be used as a fourth bedroom. David Beaken added "This floor gives you many options of how to use your living space. The views from the rear Living room are stunning, you can see the roof tops of Lewes and the South Downs behind. With already having the 2 Living rooms downstairs this room could be used as an extra bedroom, home office, hobby room, play room, the list really does go on!" The first floor has 2 bedrooms, the Master bedroom being positioned currently at the front of the house as it has a lovely large bay window overlooking St John’s Terrace and this gives you lovely views across Lewes towards Cuilfail. On the second floor is a further bedroom with a velux window on one side and a large dormer window with again uninterrupted views across Lewes. David Beaken continued "This house is a lovely example of a well looked after and stunning family home. Outside this home has a west facing patio garden and it is arranged over three tiers. It offers ample space for seating, eating and of course entertaining! The garden has an abundance of mature trees, shrubs and bushes as well as a lovely brick and flint wall. There is even a Inset Pond and Vegetable Patch positioned towards to the rear of the garden." To fully appreciate what this family home and location has to offer please call David Beaken on 01273 487444 or email david@oakleyproperty.com to arrange a viewing or for more information.